American Express offers a wide range of billing, payment and liability options. Select the options that match your company's particular needs. American Express offers three billing and payment options to accommodate your company’s needs. Please note that billing and payment types may be specified based on the screening result. This option allows your employees to continue submitting expenses for reimbursement. Each Card Member receives a monthly statement and they are responsible for remitting payment to American Express. Card Members are responsible for settlement of their account based on your company's policy. With this option, we send you a package with a consolidated statement and separate individual statements for each Card Member this allows you to make a single payment for all cards, improve your company’s cash flow, as well as increase convenience for your employees. This option perfectly works with your expense management system. Each Card Member submits an expense report in accordance with your company's policy. The company makes payment to American Express for all authorized charges. 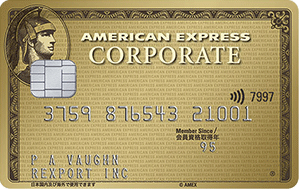 Card Members pay American Express directly for unapproved and personal charges. We offer you two liability types. Please note that liability types may be specified based on the screening result. The company shall be fully liable to American Express for all charges incurred on your accounts, except for certain types of unauthorized charges which are defined in the Terms and Conditions. (ii) for which the company has reimbursed the Card Member. This sub-section shall not apply to any charge arising under the Corporate Express Cash service. The company is liable to pay American Express for all charges incurred from the date a Card Member’s or Account User’s authority to incur expenses on your behalf is terminated through to the date we receive notification from you of that termination. Explore our Corporate Cards for a custom programme that meets your Company’s needs. 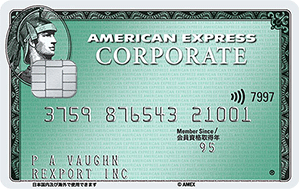 Does your company have an American Express Corporate Card Program? Our representatives can help assess your needs and recommend a solution. * Eligibility for paperless statements will depends on the type of billing used by your company. Copyright © 2019 American Express International, Inc. All Rights Reserved.